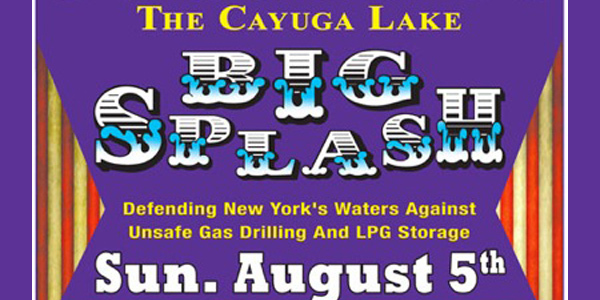 The First Annual Cayuga Lake Big Splash, Sunday August 5 in Stewart Park, Ithaca, New York. 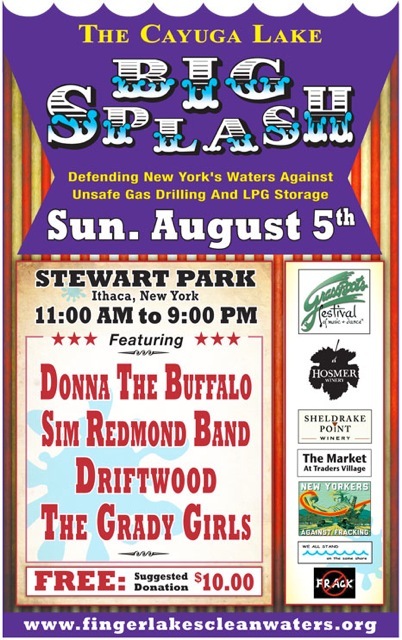 Five bands under the GrassRoots Dance Tent in beautiful Stewart Park on the shores of Cayuga Lake. Confirmed for this Event are the Sim Redmond Band, Driftwood, and Jeb Puryear of Donna the Buffalo with an all-star band of Friends. Stay tuned for line-up updates! Shaleshock and other citizen groups will be on hand to provide educational outreach and tableing. Special guest speakers will address music lovers between the bands. Wholesome local food and drink will be available including Finger Lakes beer and wine. The event kicks off at 11AM, wrapping up after the lakeside sunset at 9PM.